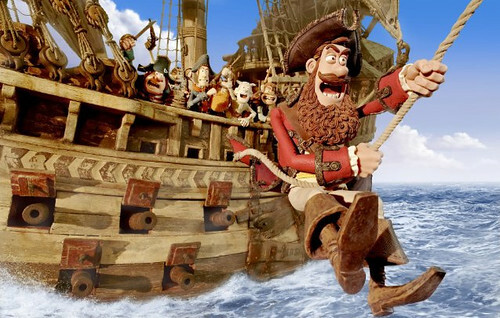 Aardman Animations, the studio behind “Wallace and Gromet” and “Chicken Run,” released a new film over the weekend called “The Pirates! Band of Misfits” (or “The Pirates! In an Adventure with Scientists” if you’re one of my daily handful of UK visitors). As a fan of stop motion animation and quick British wit, I’d been looking forward to this movie for months — even more so when I spotted a Moai in the trailer. 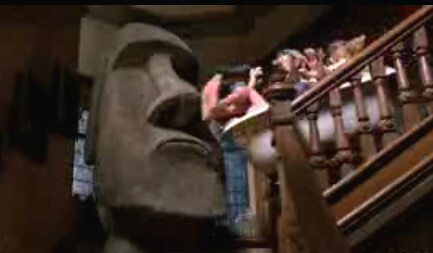 In a sequence of shenanigans at Charles Darwin’s house, the pirates knock into an Easter Island head that comes crashing after them down the stairs. (Watch the trailer for that scene.) Aside from the relative proximity of the Galapagos Islands and Rapa Nui, I didn’t really see the connection, but anyway…I found the movie quite enjoyable, with lots of visual jokes in the background. (There’s also more Moai to be seen towards the beginning.) 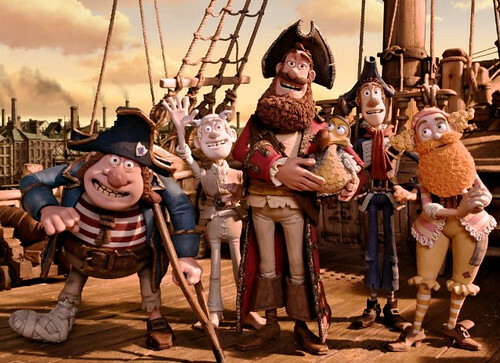 What more could you want in a film than pirates, tikis and a monkey butler?